Not all of the services available to people with tax debt are created equal as some companies are only interested in the check you write them. When researching tax debt relief services look for red flags that a company may be looking to scam you out of your money. A real tax debt relief service will offer an honest assessment and documentation on helping you with your tax situation. Imagine the realization that a mistake occurred on your taxes, and you owe the IRS money. You go through your options and turn to a tax debt relief service. Then, you later find out that the company you thought was going to help you turn your tax debt around is an elaborate scam more interested in getting your money than helping you. This scenario actually happened to some Americans who were in a bind with their tax debt. It can be a scary situation and cause you not to want to seek help from a tax debt relief service. The good news is that not every debt company is a scam looking to prey upon you while ignoring their promises to you. When it comes to scams, victims often initially miss red flags. However, in hindsight, these red flags should have been signs that something wasn’t right with the company. The company finds you rather than you finding the company. Some of the companies involved with scams will look for IRS tax liens to identify potential clients. These companies use sales agents to find you and lure you in with promises to help. Fake emails are allegedly sent to you from the IRS. The IRS doesn’t use email to send official documents, nor do they make harassing phone calls. The agency will use the U.S. Postal Service to send any notices or materials. If the company makes big promises, those promises may be empty ones. 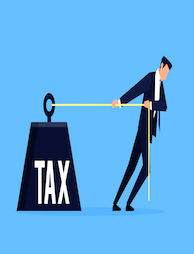 You may have heard about companies that claim they can settle your tax debt for pennies on the dollar or that working with the IRS will be extremely easy. These additional red flags are ones that signal you need to avoid these companies. Actual debt relief companies won’t make promises without reviewing your materials. The company claims it has always gotten the job done for its clients. Keep in mind that some cases exist where the IRS did not accept settlements. A company claiming a 100% rate of settlements is incorrect in its assertions since not every settlement will be accepted. Some of the scam companies will withdraw their settlement offer if they think the IRS is getting ready to reject it to protect this untrustworthy statistic. The company doesn’t offer you a written contract or guarantees when it comes to the price of its services. Scam companies are often dishonest when it comes to how much their services will cost you or how much your bill will be after they’ve performed their services for you. Be sure to read any contracts carefully. Companies that require full payment upfront are problematic. A nonrefundable policy is another giveaway of a scam that you want to avoid. 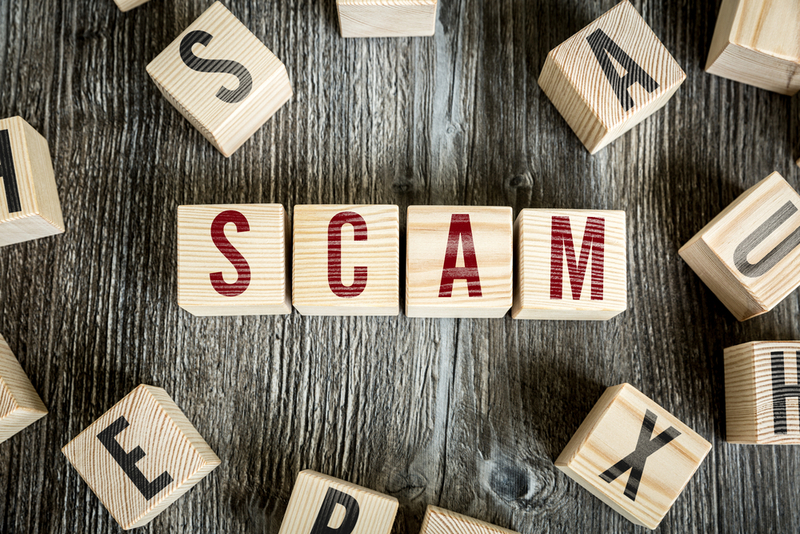 Some scams may offer a refund policy, but they make it impossible for a client to use it, such as providing a shorter period of time to request your money or putting obstacles in your way. The red flags presented above are some of the most common that you can encounter when trying to find a valuable tax debt relief service. Often, if something feels off or wrong with the company that you started speaking with about your tax debt, trust your instincts and protect yourself. When you receive a notice in the mail from the IRS, you’ll want to address it immediately. Waiting to address an issue with the IRS can mean that you may miss a deadline set by the IRS, which could increase your debt through fees or penalties. Contacting the IRS gives you the opportunity to discuss your options when it comes to repayments. If you feel as though you’re overwhelmed when it comes to finding the right option for you, reputable tax debt relief companies may be your best option. These companies can work with you and the IRS to find a payment plan or offer in compromise that works for all parties involved. An offer in compromise is an agreement between you and the IRS that settles the debt for less than you owe. While the IRS may not be able to remove all fees and penalties, the agency may be able to present you with a reasonable offer. The characteristics of a real tax debt relief company can help you pinpoint the differences between a real company and a scam. A real company will be honest with you when it comes to how likely the IRS will accept or reject your offer. A real company won’t chase you down but will let you inquire about its services if you are interested. A real company will want to meet with you face to face with all your documentation in hand. In scams, you will often be dealing with a sales agent who wants to sign you up for services, yet you get little time with a CPA, tax professional, or lawyer on staff. A real service will get you in touch with the professionals that you need to help your situation. Finding a company that doesn’t promise you an unrealistic outcome is another sign you’re working with a reputable company. Don’t rely only on what they have to say to you. Look online and talk to others about the company. You’ll often be able to find reviews and other information about the company. If you don’t see any information about a company, you may want to avoid it. If you find many negative reviews, it may be time to move on to the next potential company. You should get a written contract that you’re able to go over carefully before you enlist any company’s services. This contract should detail what you can expect from the company regarding services and billing. The company you work with should be willing to go over the terms and conditions to help you make an educated decision on whether it can provide the right services for you to use. Scam companies are a problem for the debt relief industry, and companies that genuinely want to provide a service to help people in need do exist. That’s where Solvable can provide assistance. We offer both educational services through our articles and resources along with our partnerships with companies that we know provide our clients with real services. It pays to do your homework. We’re here to help you with your research.